Hello! 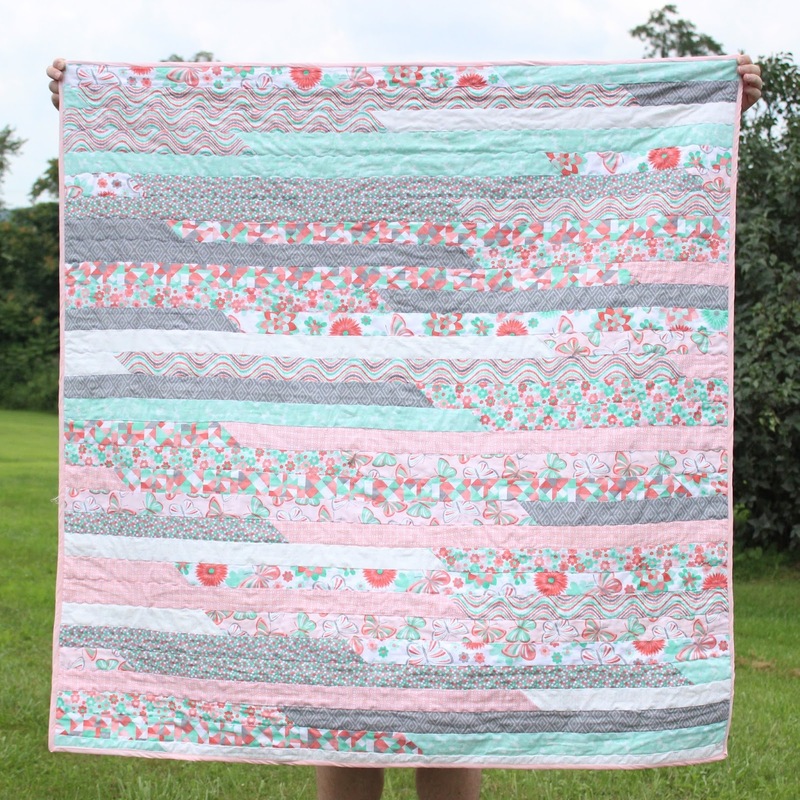 Welcome to my blog and to the 2016 New Quilt Bloggers Blog Hop! I'm Amista Baker, a wife and stay-at-home mom to 2 girls and 1 baby boy living in Ohio (U.S.). I'm so happy to have you. I've been enjoying getting to know everyone in the group and my own hive! I began sewing 8-9 years ago, making bags and purses for friends and family and eventually selling online, but my real passion - and what I went to college for - was always digital design. So my sewing hobby was put aside to focus on my love for digital creations. I created my business, Hilltop Custom Designs, and begin selling party printable such as invitation, cupcake toppers, banners, tags, and more! It was a huge success for our family. 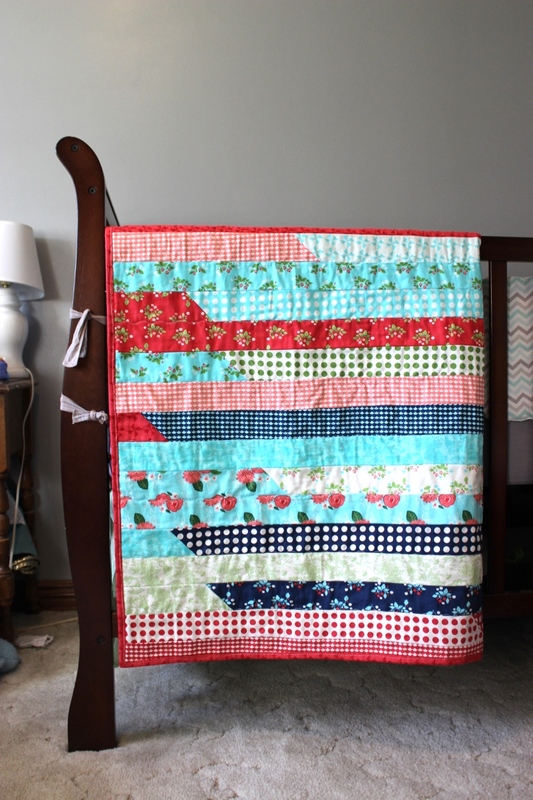 Approximately 1 1/2 years ago I made my first quilt, a "Simple Cuts Crazy Quilt" for my son's upcoming birth along with some bibs and organic teethers. I was instantly hooked! A few months later I made a Jelly Roll Racer for my daughters 7th birthday. Naturally, it spiraled from there and I have made many quilts since. Some for our family, some for friends. I have WAY more skills now than what I started with, however, I think I will always see myself as a beginner quilter - I'm always learning new techniques and love trying out new patterns. You can view some of my finished quilts on my Quilts Page. My new favorite thing is Instagram swaps! I love an excuse to make for others, especially when you're also receiving a handmade item yourself from someone in another part of the world. It's such an awesome experience and I always treasure the things that are made for me!! Have you ever participated in swaps? What was your experience? I would love to hear the things you've made! Next, I was going to share some tips with you, but because I still feel like such a newbie and I'm not sure I have a lot of knowledge to share that you probably haven't already read a thousand times, instead i'm going to link you to 10 of my favorite quilting resources found on the web! 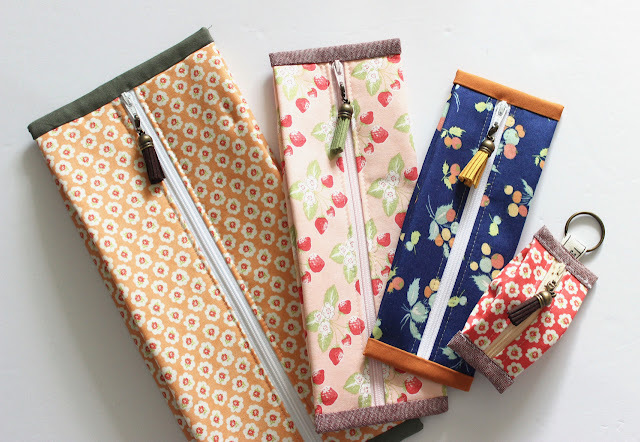 My favorite online fabric shop - StarlitQuilts *Free mini charm pack with every order! I was excited to be apart of the 2016 New Quilt Bloggers group. I have enjoyed meeting everyone and hope you have too! Please checkout the rest of my blog - I'm always open to constructive criticism and learning of ways to improve. 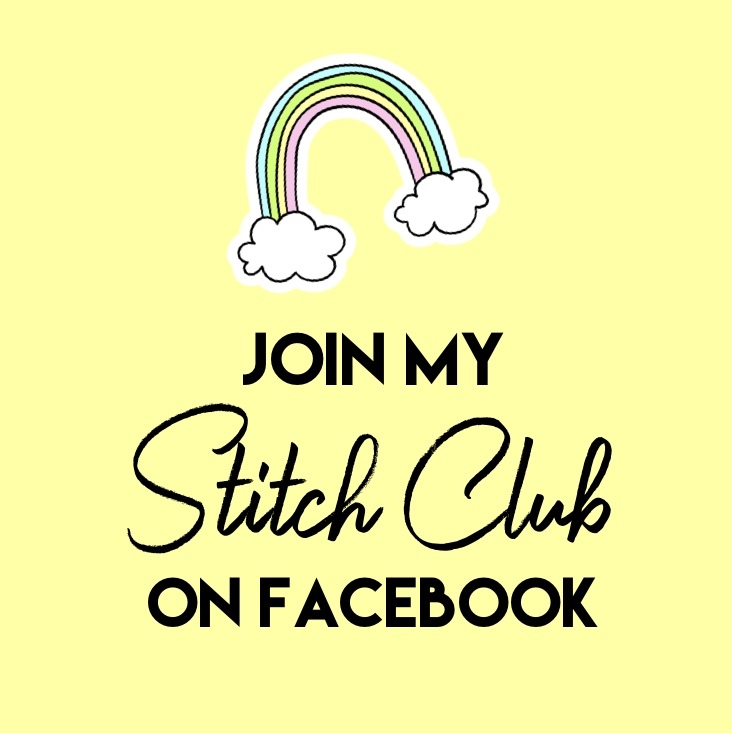 I've got some tutorials and free patterns for you as well as lots of post where I share the things I make, so please take a look around! Whew! At least I'm not the only one who feels like a newbie! I haven't participated in any swaps so far but I think that is about to change! I have definitely enjoyed being part of this group! Hasn't it been great! Haha yes, I always feel new! Always! This group has been fantastic. I was a bit nervous when I first applied to be a part of it but it's been really great. 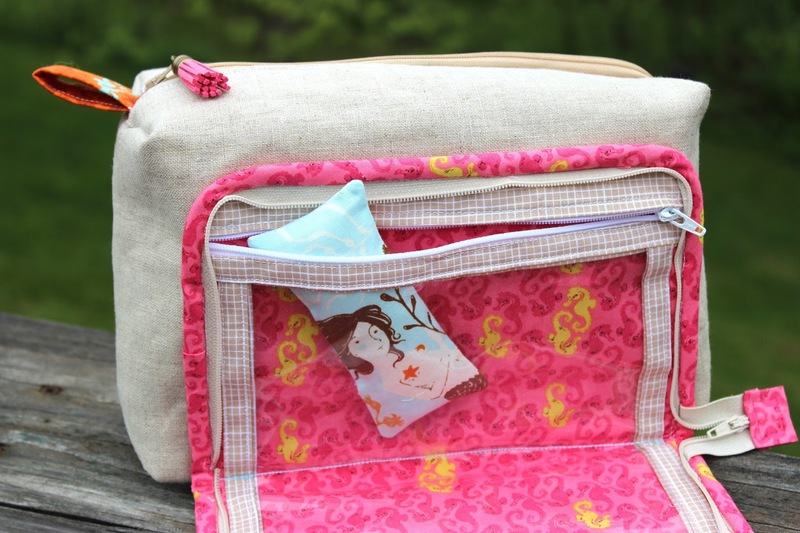 Lovely intro post Amista, I enjoyed reading more about you and your quilting journey. You manage to fit a lot in having three such young children to care for, it tells me you are a very organised lady. Great idea sharing your favourite resources, I will make sure to check them out. I have participated in one global block swap organised by an on line magazine, and one individual postcard swap, but unfortunately I didn't get one back:( That's not to say I wouldn't do it again though. So sad about the postcard swap! I can tell you some people are definitely bad swappers unfortunately. I have been lucky so far and there are some great Swap Mama's on Instagram who thoroughly check the people who sign up first to try and ensure there aren't any people who flake or don't complete the swap. Hello Amista, as always I enjoyed visiting your site. Thanks for the great links. I'll be using them for sure. We are lucky to have you in our Blog Hop and I know you are going to do wonderfully well. I'll be back regularly to visit. Enjoy your Hop week. Thank you! Those links are my go-to for every project, I hope they help! I just don't have a lot of local quilting / sewing resources at all. I can really see your love of design come through on your quilts, your color sense is wonderful. I have only done one or two swaps, I have enjoyed them but at the same time felt stressed by them. Thanks so much Cheryl! This has been a great experience. Hi Amista, great post today. I'll be back to look at your favorite resources. I've had a lot of fun with IG swaps in the past year or so, trying new makes and meeting people. I'm taking a little break from them now (always so tempting though, I'm not going to lie!!) to try to finish some other things on my quilty list. I am going to take a break from swaps around holiday time. Its too much on my plate to juggle family and holidays plus swaps! But it will be hard LOL Thanks for stopping by Jodie! I really enjoyed getting to know you better, Amista. You have such a cohesive style and design sense, and I can understand why given your background. I hope you have a great week on the blog hop! Thanks for your list of resources Amista! Can't wait to check out the bag making supply resources. 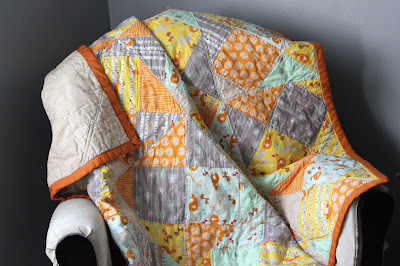 I've enjoyed getting to know you through the New Quilt Bloggers group. 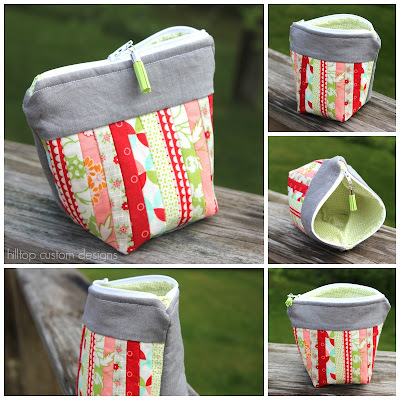 It+s nice to meet you.Thanks for sharing these links.Beautiful projects and love your fabric eye. I have participated in a swaps and the last one was awesome ,have a look over my blog,I post about it and if you want to swap here I am. I am definitely going to check out your blog, thanks for stopping by!! Great post, Amista. Your list of links are ones I've bookmarked to come back to! Awesome, thanks a lot Jen! This blog hop and the Christmas in July sale have been great! Love your color sense, Amista! I'm also a big fan of Starlit Quilts. Star even pulled together a custom bundle for me for the Farmer's Wife 1930's quilt along. She's great! Thank you Holly, that is by far my favorite shop! I agree! Thanks for stopping by Anna! The only swap I've done was with Anja of Anja Quilts and that was her just asking if anybody wanted to swap mini, mini quits so we swapped....but that's it. I'd like to do more swaps but I think I may be too busy in the next little while, but maybe later. Hi Amista, great post. I've been following you now for a bit and I do really enjoy your posts. I will definitely check out your tip links! 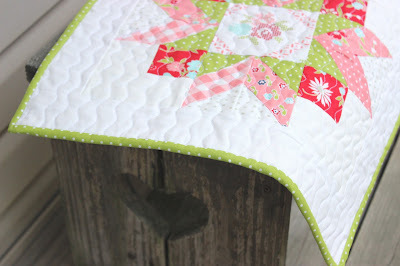 Hi Amista, it's so nice to get to know you and learn about your quilty life. Love how you added those great links into your blog post. I've only participated in one swap so far and working on the second. They are fabric postcard swaps and fun to do. I have seen the fabric postcard swaps around Instagram. It is very intriguing, i love the things people make and send! So neat! Hello neighbor, I live in NW PA. I like your quilts and know you will enjoy your quilt journey. So much fun getting to know you a bit better. I love the resource list. I will have to check a few things out. Newbie or not, you've got some lovely quilts there. And your bag is super cute. It's funny that you mentioned the suede tassels. I just found out about them earlier today! We must be twins. I'm so glad you're in my hive and it's been fun getting to know you. It was great getting to know you better and seeing some of your quilts. I've been enjoying your photos over on IG, too! I don't participate in swaps because there just isn't enough time with all of my own projects and deadlines, but they sound like another great way to connect with people. Hi Amista, nice to get to know you a little more! You are very talented and I enjoyed seeing your quilts. I've participated in one IG swap, the Rainbow mini R2 and had lots of fun. It's a great way to meet new quilting friends.